• QuickDRY for smudge free performance. • Ensures vivid colour and sharp text, no feathering. • Guaranteed for all popular inkjet printers. • Save time with free easy to use Avery® templates and software for Microsoft® Office. For use with inkjet printers, these Avery address labels feature QuickDry technology for smudge-free printing. 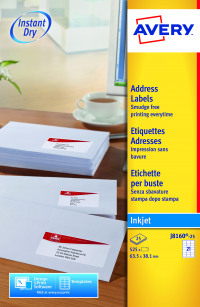 The labels provide outstanding print quality and excellent adhesion for reliable, professional mailing. Each white label measures 63.5 x 38.1mm. 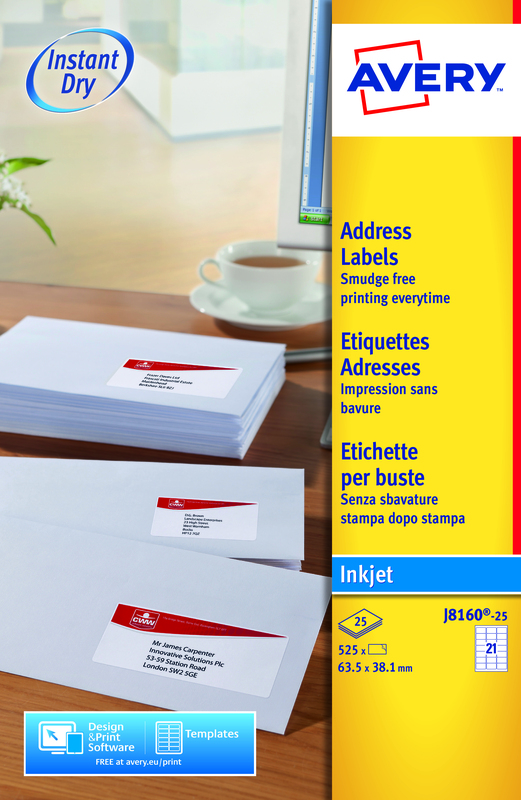 This pack contains 25 A4 sheets, with 21 labels per sheet (525 labels in total).